BRAND NEW. Espresso colour only. 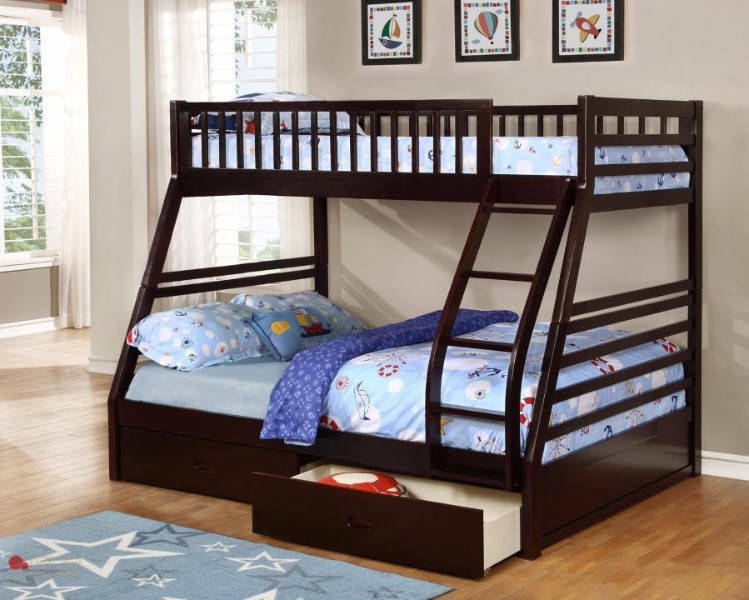 BRAND NEW , solid wood, twin over full bunk beds. Includes storage drawers.